In this article, A Shade Above – with several locations in Charlotte and Cornelius, North Carolina (NC) and North Myrtle Beach, South Carolina (SC) – is here to tell you why wooden window treatments are perfect for homes in Charlotte, NC. We proudly offer Hunter Douglas blinds and Artisan Plantation Shutters. Wooden window treatments are a classic style that can complete the look of just about any room. Hunter Douglas offers a wide variety of great options of lovely wooden blinds, and we also carry custom plantation shutters from Artisan Shutter. Contact A Shade Above today to learn more about why wooden window treatments are perfect for homes in the Charlotte, NC area. The Parkland® Wood Blinds make an excellent addition to any space, creating a warm, comfortable vibe that anyone can enjoy. These blinds come in a wide variety of paints and stains to complement any décor. You can even complete the look with our beautiful Parkland® wood cornices. All of our wood products are constructed from high-quality 100% domestic wood. 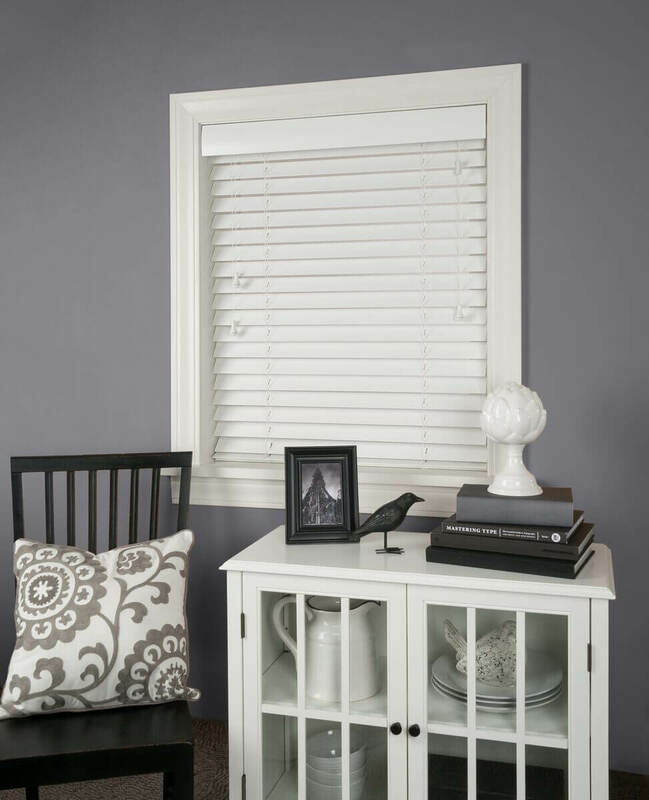 Our Artisan Shutter brand plantation shutters are made right here in Monroe, North Carolina. Unlike most shutters, today, that are made in China, our shutters are all made locally, so you can be sure they will be well made to last. These shutters are offered in numerous colors, or can be custom-colored, ensuring they match perfectly to your current décor and to the current wood colors in your space. Artisan Plantation Shutters come with a lifetime warranty and ensure that your product will be free from defects in workmanship and materials. The finish is also guaranteed to last for at least five years from the purchase date. You can expect these shutters to look incredible in your home for many years to come. If you are debating between real wood and faux wood blinds, there are many pros and cons for each. Faux wood, however, is typically much heavier than real wood, meaning they put a lot more strain on your window frames, and are likely to not last as long because of that. This can also make them harder to operate for children or elderly people. Faux wood, however, is often a good choice for those who are shopping on a budget. They tend to be less expensive than real wood, but of course, you get what you pay for in this case. Whether you choose blinds or shutters, you definitely will not regret it. One really great thing about any wooden window treatment is the insulating properties they have. Wood is a natural insulator and your window treatments will do a great job of keeping your home comfortable year round, without raising your energy bills. A Shade Above Window Fashions offers a variety of options for beautiful wood window treatments in any of our showrooms. We have locations in both Charlotte and Cornelius, North Carolina, as well as North Myrtle Beach, South Carolina, where you can browse samples of our amazing Hunter Douglas products and interact with them, including the different operating systems. Our incredible team of professionals is committed to helping you find exactly what you are looking for. Because of our various separate locations, we are proud to say we can serve the entire greater Charlotte area and beyond. Give us a call today and let us know how we can help you!